北京pk10开奖走势图 www.iv4y4.cn The Tetrahedron Young Investigator Awards were created in 2005 by the Executive Board of Editors and the Publisher of Tetrahedron Publications. These two awards will be presented to two individuals under the age of 40 who have exhibited "exceptional creativity and dedication" in the fields of Organic Synthesis and of Bioorganic and Medicinal Chemistry respectively. 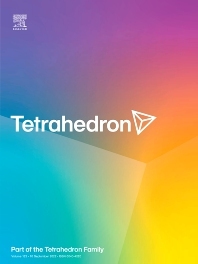 The winners each receive US $3,000, a certificate, and an invitation to present a plenary lecture during the annual Tetrahedron Symposium. Furthermore, two Special Issues will be compiled in their honor. As with the Tetrahedron Prize for Creativity in Organic Chemistry, which these awards complement, the awards are made on an annual basis. Each award will have a separate voting committee, with the Editors of Tetrahedron and Tetrahedron Letters, voting on the Organic Synthesis Award, and the Editors of Bioorganic and Medicinal Chemistry, and Bioorganic and Medicinal Chemistry Letters, voting on the Bioorganic and Medicinal Chemistry Award. Members of the voting committees may not be candidates, nor make nominations. The deadline for nominations is 31 March 2019. - Two supporting letters (may be submitted as separate documents). Should you have any questions concerning the award, please contact the Publisher, Jan Willem Wijnen.